Last September, I reviewed a book Tears of the Lonely *** by Ayo Oyeku. Please click here to read review. 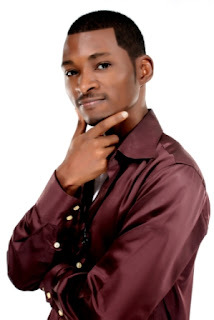 Ayo Oyeku is a young Nigerian writer born in 1985 in Ibadan, south-west of Nigeria. He studied physics with electronics in University. He wrote two children story books published in 2004, First Among Equals and Nobel Ambition. His latest work so far is Tears Of The Lonely published in 2011. Mary Okeke: Why the title "Tears of the Lonely"? Ayo Oyeku: The way every budding thought springs into words is quite a marvelous experience. Every writer carefully knits his/her words together in order to etch out a beautiful story. At the end, it’s often difficult for the writer to capture the whole manuscript with a phrase, and often times the Editor or publishing team eventually decides. But in the case of Tears of the Lonely, the title had stuck in my mind right from the start, and it eventually found its way to the cover of this beautiful book. The inspiration came with the title, and they matched perfectly. This title actually captures what the book is all about. It's witty, simple and memorable. MO: What inspired you to write the story? AO: (Sighs) At the beginning of my writing career, I often wrote to burn out my loneliness. But loneliness wasn't it for me when it came to this novel. This work was inspired by the daily living of Africans: Most families live in penury, the future of African children are threatened and choked. People need hope! And that's why I felt I needed to put up a work that could paint up a picture every lonely heart and aspiring dreamer could relate to, especially the young African child, who deserves a hope - and this book could truly be their mantle. MO: Is there any resemblance between your life and that of Okiki (the main character)? AO: (Laughs) Okiki could be me, you or anyone who relates with this novel. As long as you have dark tunnels you have passed through (or passing through), and a burning desire to fulfill your aspirations, you certainly share a resemblance with Okiki too. As for me, the character Okiki came out from me, and that's the resemblance we share. MO: You previously wrote 2 children's book. With tears of the lonely who are your target audience? AO: Tears of the Lonely happens to be my first novel. It's written in a soft, non-didactic and unconventional style, with its message appealing to readers of all age. But this novel is targeted at teenagers and Young Adults. MO: What message do you intend to send with this novel? AO: Tears of the Lonely aims to tell everyone that with every flicker of hope, we can overcome our adversities and make our lives a lasting epitaph. It's a story of hope, love, forgiveness, endurance and life. MO: Did you have to do some previous research? Workshop? AO: Certainly yes! Since this novel was plotted around the early '60s, so I had to do a detailed research on what was obtainable in the Nigerian society at that time, in terms of education, infrastructure and human mindset. I also had to do some research on the epilepsy disorder. Even though you might hardly notice this in the novel, but all those facts and figures helped in plotting the story, working on the utterances and reactions of my characters, and a whole lot of salient decisions that helped in looking backwards and drawing a final conclusion for the novel. MO: How long did it take you to write this book? AO: I was inspired to write this book in 2005. But being my first novel, I had to take my time in not just writing and researching on the work. But I also needed time to improve my writing skills, and building my literary confidence in order to be certain that I could stand the test of time in the literature scene (because writing in Nigeria can be quite discouraging). And so, I began the first draft of Tears of the Lonely in 2005, and finished it in approximately two years. I later left it and allowed it to simmer down, before picking it up again years after, and had to rewrite the story again. And finally in 2011, it was self-published internationally. So it took me precisely six years. MO: Working on another book? if yes what is it about? and who are your target audience? AO: That's an interesting question. Virtually every writer who takes his career seriously would begin his/her next work after publishing the previous one. I also belong to this category of writers. My second novel takes a deeper look into the socio-political milieu of the Nigerian society, and I would be reeling out social and political events from the year of my birth till the current democratic dispensation - A first-person narrative. The story would be plotted around these events, and the mind of the typical Nigerian would be bore through this novel. This novel would be peeling scabs off old wounds, and a true consciousness would be stirred in the mind of every beacon of hope, and lover of truth. It’s a book on fate, religion and politics - an expected African classic. This novel is targeted at adult readers, but every intuitive reader and lover of my writings won't regret reading it. This work is still in the pipeline, and my anticipating fans might have to wait till late 2013/2014. MO: What did you enjoy most about writing this book? AO: Firstly, I must say that the reward I get from my writings cannot be financially contained, but through the writing process. That understood, what I enjoyed most was when the novel was completed. It was such an unspeakable joy for me. AO: Interestingly enough, I have been reading short stories by African writers lately. Elnathan John, Brian Chikwava, Monica Arac de Nyeko, Sefi Atta, Chika Unigwe, Helon Habila, Rotimi Babatunde, and other fresh writers. The creativity and dynamism of African writers really comes out in their short stories. Some of my short stories would also be appearing in magazines soon. And so, currently, I am reading Chimamanda Ngozi Adichie's The Thing Around Your Neck (2009) all over again. I enjoy the short story collection. MO: Where can your book be purchased? And you can also visit the book'swebsite, for other links where you can purchase the novel. Readers can visit www.tearsofthelonely.com to know more about my book, and also drop a message for me via the Contact Page. Ayo, gud one. Keep it up.